The Paramore Limited Edition T-Shirt Quilt here was created with some of your favourite Paramore t-shirts from years past. The quilt measures approximately 5.5 feet by 5.5 feet. Limited to only 200 worldwide, each quilt is custom made, no two are the same. The Paramore Rose-Colored Boy Pocket Badge T-Shirt is printed on white t-shirt. 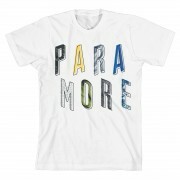 The Paramore Offset Logo T-Shirt is printed on white t-shirt. The Paramore Elements Poster is an 18" x 24" poster featuring a photo of the band surrounded by the elements from the 'After Laughter' album art. 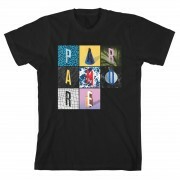 Paramore ‘Sunflower’ T-Shirt produced by UNIF in Los Angeles. Limited to 1,000 worldwide. 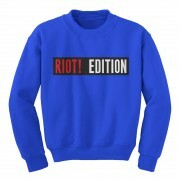 Please note unisex styles run in US mens sizing. Fit is slightly oversized but runs true. The Sunflower is printed over the pocket so there may be some printing gaps. 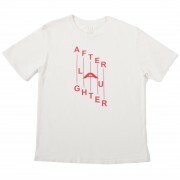 Paramore ‘After Laughter’ T-Shirt produced by UNIF in Los Angeles. 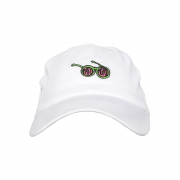 Limited to 1,000 worldwide.